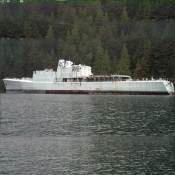 Under the Canadian Environmental Protection Act, 1999 (CEPA), Environment Canada allows the disposal at sea of about 2 to 3 million tonnes of materials each year. 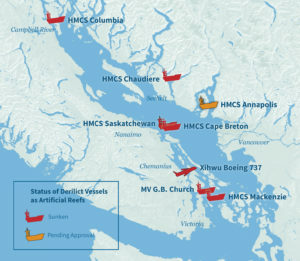 Most of the dumped materials go to designated ocean disposal sites, including about 20 sites in the Strait of Georgia and adjoining waterways. 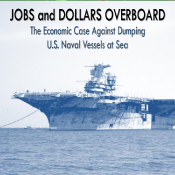 Most of the dumping occurs quietly – but one type has been plagued with controversy. 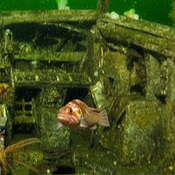 On a number of occasions, recreational divers’ organizations in our region have pressed for and won permits to dump derelict ships – and in one case, an airplane – to use as artificial reefs. 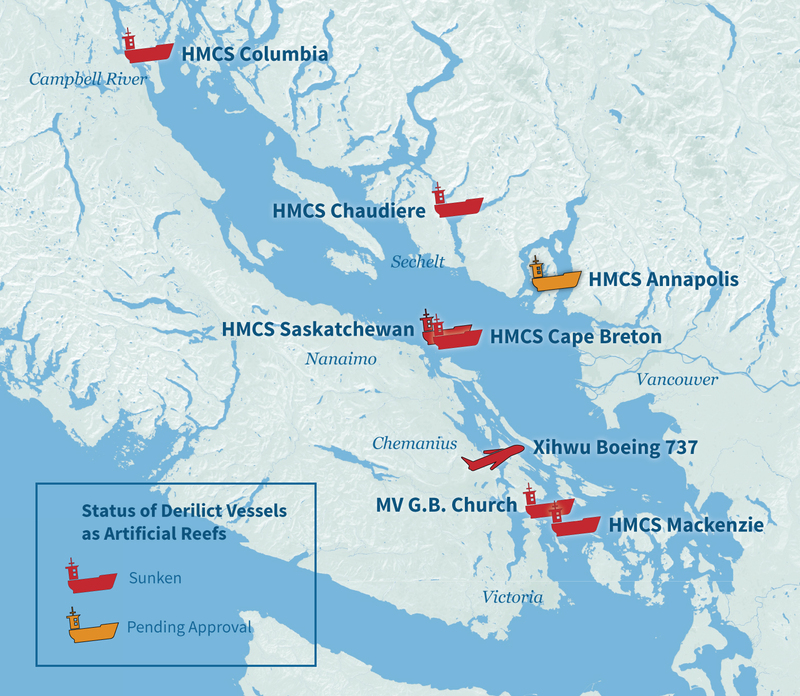 Despite public concerns about environmental impacts, derelict vessels have been sunk in various locations including sites off Nanaimo, Sechelt Inlet, Chemainus, Sidney and Howe Sound.